India Glycols' Uttarakhand unit is considered one of the most efficient distilleries in India, producing the finest quality extra neutral alcohol (ENA), with a capacity of 20 million litres per annum. IGL's ENA conforms to international standards and is exported in food grade HDPE drums and ISO tanks to Middle East, Africa and Srilanka, apart from being supplied to many of India's premium liquor brands. The ENA plant is based on the principles of multi pressure-cascading techniques and the process control is done by Digital Distributed Control System. In addition to its use in the production of potable alcohol, ENA is used as a reaction aid in the pharmaceutical industry and as a volatile carrier of flavour and fragrances. The three state-of-the-art distilleries situated at Kashipur, Uttarakhand; Gorakhpur, Uttar Pradesh; and Todarpur (Saharanpur), Uttar Pradesh are engaged in producing ENA of the highest international quality - minimum 96.4% v/v ENA. With these capacities, we are the largest manufacturer of alcohol in the country. The company adopts stringent quality specifications and has a most modern technical centre, an expert sensory panel and a qualified and skilled technical team. 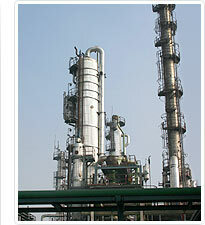 IGL has been awarded the Best Quality ENA Award for the year 2008 by Alcobev.